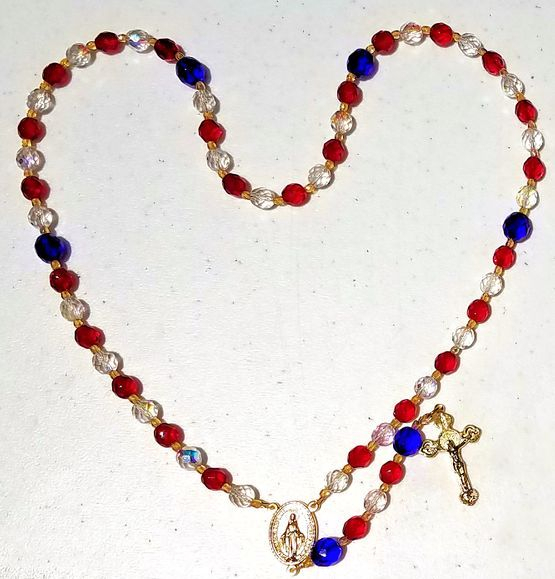 Catholic Bible 101 - USA ROSARIES !! 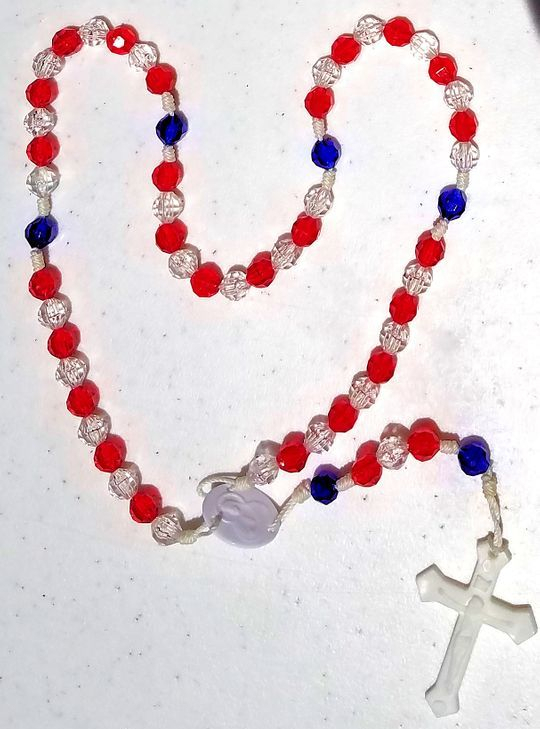 The above USA Rosary comes with Czech Fire Polished glass beads, and is strung together with flexwire. The bead separators are 3mm Czech Fire polished gold. The red and crystal clear Hail Mary beads are 8mm, and the blue Our Father beads are 10mm. Comes with a gold-plated Miraculous Medal Center and a gold-plated St. Benedict Crucifix (Centers and Crucifixes will vary depending on availability from manufacturer.) CONUS price is only $25, plus $5 shipping and handling (add $1 S&H for each additional rosary. Overseas S&H is $20 (add $1 S&H for each additional rosary.) Please allow 2 weeks for delivery. The above rosary is made of plastic and string. The beads are all 8mm. The plastic crucifix glows in the dark. CONUS price is only $10, plus $5 shipping and handling. Add $1 S&H for each additional rosary. Overseas S&H is $20, plus $1 for each additional rosary. Please allow 2 weeks for delivery. Add Additional S&H by clicking on the DONATE button (for more than one rosary, or for overseas purchases.